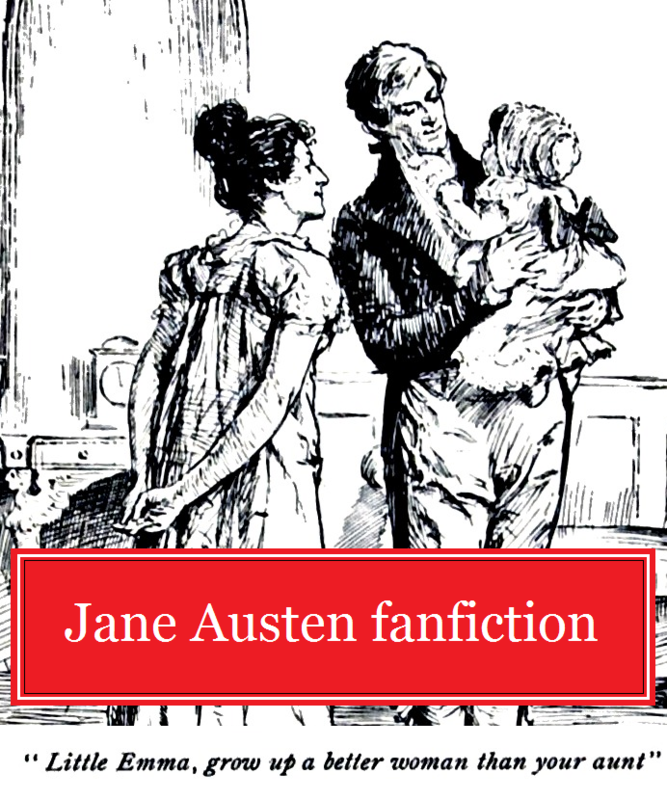 Author’s Note: I do not pretend I can write like Jane Austen. Aside from the fact she’s a genius at writing courtship novels, I could never write in that exact style of English, because the language’s changed since then. All the same, I’ve been obsessed with Emma lately, so I had to try something from Mr. Knightley’s point of view. This bit is inspired by the book, and not the movie, so hopefully you won’t be confused about any of the details I’ve included. Of course, if you wish to know what happens next, read Chapter 49 of Emma. He had said that. He, himself, had said that. So why should it be that he was very much in love, and certainly in doubt of a return? He had almost kissed her hand – been the merest breath away from doing so, but something had held him back. Something in the way a blush had risen to her cheeks. A blush he’d seen a hundred thousand time before, from her precocious infancy to her full bloom of womanhood, but the last blush before this had been accompanied by a smile and a laugh, and been directed at Frank Churchill. Frank Churchill – that dog! He straightened in the saddle. All the bitterness of spirits could not be enough to excuse an uncharacteristic slump to his shoulders. He would learn to be indifferent. He would learn indifference enough that Emma would be free to smile at whomever she wished, without it so thoroughly affecting him. London was only fifteen miles hence. He should be in there, in Brunswick Square, by evening. Then a pleasant evening with John and Isabella and the children should drive all thoughts of Hartfield from his mind. One could never fully concentrate on anything with those boys of John’s rampaging about. His upper lip twisted. But now the road was empty. There were no such distractions around. Still, at his encouragement, his, she had gone to see Miss Bates today. She put some value in his reproofs, that relieved his mind. Sound counsel had always held weight with her. This proved it still did, though not that she preferred sound counsel from any particular source. Least of all that of an old family friend. That they could disagree and yet never cease to be friends – that was the pinnacle of it all. Far too many women of his acquaintance could not bear for their opinions to be crossed. Yet he could be irritated with Emma and she bore it with spirit. And he was not always right, he knew he was not always right. He could not support always being agreed with by a woman, or a woman who always needed to be agreed with by him. But not such chatter as he had endured at Box Hill! Miss Woodhouse demands from each of you one very clever thing, indeed. His ears could not bear the words. His gaze fell on the very fine stand of trees in the distance. It was far easier to think of a stand of trees than that disastrous party. There must be some good timber yonder in that stand. He wondered who could possibly own the lands hereabout. He had been content to live by himself and mix with society at his leisure. There was a good amount of silliness in Highbury society, as there was any time one mixed a great number of disparate people together, but the majority of them were worthy souls. He had never seen any reason to be a snob, or hold himself above them. The only failing of the place was the scarcity of suitable companions for Emma. Again. He would not wish to take back the moment Emma had been laid in his arms as a boy of sixteen, but he most assuredly would have paused if he had known the doubt that darkened his mind right now. The ease in which perfect contentment with his own society in his own house would suddenly turn to disgust at the dull creature he was on his own. The ease in which a slim figure, the closest approximation of an accomplished young lady Emma could be without ceasing to be Emma, could slip herself into the centre of his daily routine, his conversations, his thoughts. He could wish Frank Churchill at the ends of the earth – at the bottom of the sea, if it meant he would be away from Highbury. He never wished harm against another man before. But now, he hated most of all how this disappointment caused him to be untrue to himself. He would never be glib, like Frank Churchill. He would let plain words speak for himself someday. He could only pray to God that someday he would be granted the chance to say them. But, if he could do anything about it – not Emma. Looking for some more romantic reads? Check out my ebooks, Prince Charming and Lookin’ Good. You make me want to read this book again… I realised reading this that I barely remember it ! Diana Wynne Jones, C.S. Lewis and J.R.R. Tolkien – What a Combination!